Chelsea Carey (Calgary, Albera) wins the Meridian Canadian Open, defeating Michelle Englot (Winnipeg, MB) 10-5 at the Encana Centre in Camrose, Alberta, Canada. Carey with Cathy Overton-Clapham at third, Jocelyn Peterman and Laine Peters on the front end take home the $30,000CDN first place cheque along with 83.449 world ranking points, while Englot receives $18,000CDN and 65.567 world ranking points for their second place finish. Starting with hammer, Carey scored 2 in the first end, with Englot responding in the second end scoring 2. Carey scored 3 in the third end, with Englot hitting to score 2 in the fourth end to trail 5-4. Carey scored a single in the fifth end, then forced Englot to a single in the sixth end. After a blank end, Carey scored 4 in the eighth end with a doulble-takeout to clinch the win. In the semifinals, Carey defeated EunJung Kim (Uiseong, Korea) 6-4 and Englot defeated Jennifer Jones (Winnipeg, Manitoba) 10-4. Jones and Kim earned $12,000CDN and 50.666 ranking points for their semifinal finishes. 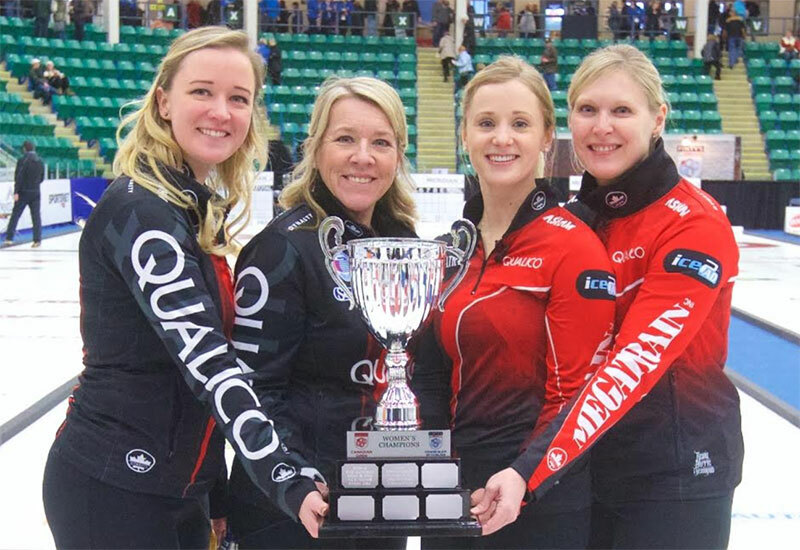 In the quarterfinals, Carey defeated Laura Crocker (Edmonton, Alberta) 8-5, Englot defeated Allison Flaxey (Caledon, Ontario) 6-5 in an extra end, while Kim defeated Rachel Homan (Ottawa, Ontario) 7-4 and Jones defeated Silvana Tirinzoni (Aarau, Switzerland) 6-3. Flaxey, Tirinzoni, Crocker and Homan earned $8,000CDN along with 35.764 ranking points for their quarterfinal finishes. Carey went 3-1 in the 16 team triple knockout qualifying round. In their opening game, Carey lost 6-4 to Kerri Einarson (Winnipeg, Manitoba), then responded with a 9-1 win over Kim. Carey won against Jamie Sinclair (Blaine, USA) 9-2, then won against Englot 8-1 in the B-Qualifier to advance to the playoff round.